A kiosk in rural Oaxaca. 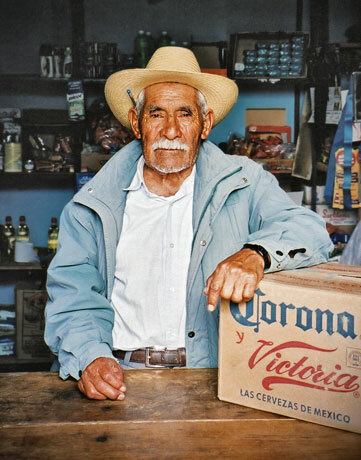 One of the pleasures of touring rural Mexico is meeting local people and learning about the local scene. 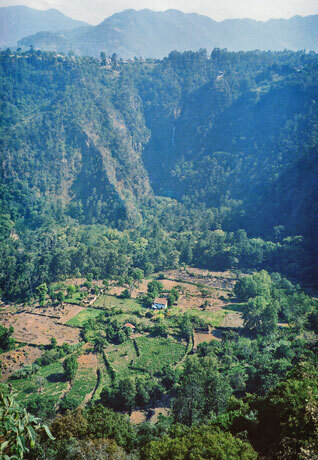 Mexico is a big country that covers many climates and terrains. The famous story of conquistador, Hernán Cortés, crumpling a piece of parchment and setting it on the table when asked to describe the land reminds us that Mexico is a mountainous place. Choose any route across Mexico and you’ll find yourself riding some of Latin America’s most spectacular climbs and descents. But, also like a parchment, Mexico can be flat. For most travellers, the term altiplano brings to mind images of llamas and salt flats in the Central Andes, but in reality Latin America has several altiplanos, or high plateaux. The Mexican Altiplano covers an enormous area from the southern US border to half way down the country. Expect to ride long, dusty, flat stretches if your route takes you through this area. Another major flat area is the Yucatán Peninsula, an enormous limestone shelf, barely above sea level, and covered by dense forest. 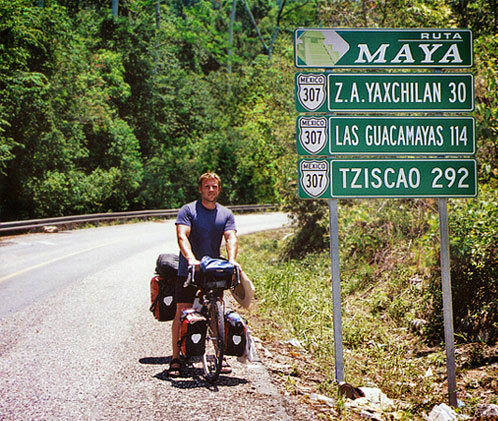 This is an excellent area to tour by bicycle; a comfortable climate, easy to camp in, and littered with Mayan ruins. 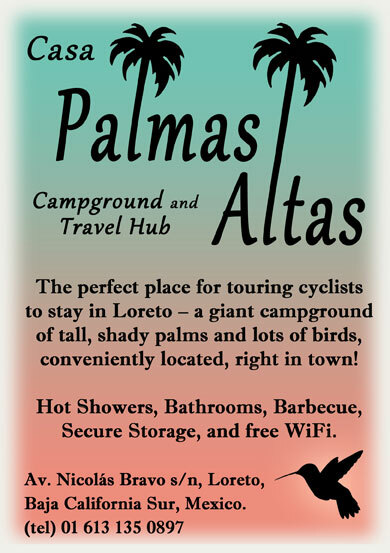 Plenty of free camping along the Ruta Maya. These days, there’s a lot of talk about Mexico being a dangerous place to travel. Every week there’s another story about a violent act associated with the drug war. But if there’s a real danger to travelling in Mexico, it’s the high number of traffic accidents (this is of special concern to travelling cyclists). It’s true that the drug-war death toll is appalling, with an estimated 12,000 deaths annually in recent years. Compared to the 24,000 traffic deaths Mexico suffers each year, however, the drug war is clearly the lesser danger–especially when you consider that drug-war deaths are localized and mostly involve members of gangs, the police, and other players. Traffic deaths, on the other hand, affect all walks of society and occur anywhere there is a road. 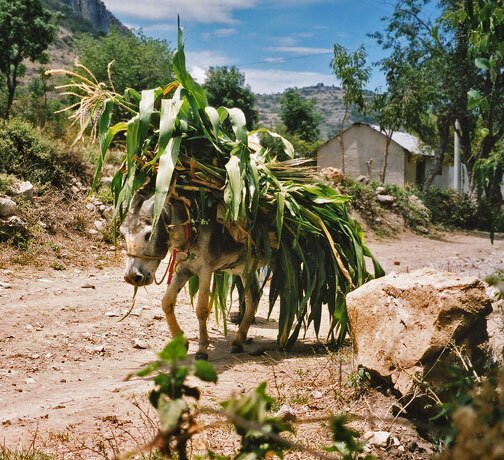 Burro cargado (loaded donkey), Apoala Valley, Oaxaca State. The most dangerous road I’ve toured in Mexico (perhaps in all Latin America) is the Pacific highway between Acapulco and Mazatlán. Be very careful if this is your route; the level of carnage is sobering (although apparently not for some of the drivers, who are anything but sober). If you feel like you’re getting squeezed off the road and you’ve had one close call too many, consider hitching a ride at the next service station until the road calms down a bit. Or you might even consider altering your route to include some inland colonial villages before looping back to the coast. Mexico is Latin America’s most visited country, yet it shelters some of the continent’s least-known areas. 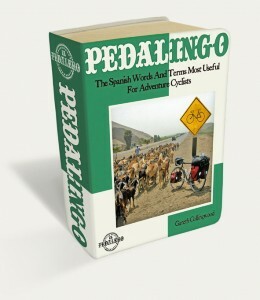 I’ve often been surprised at how I can be touring in gringo-infested tourist zones one week, then find myself in isolated, traditional areas the next; places that have barely changed in centuries where the people still speak in their original language and find the sight of a foreigner on a bicycle shocking. It’s hard to believe I’m still in the same country. “A land of contrasts” is travel writing’s laziest cliché and one that’s often awarded to Mexico. Perhaps it’s fitting, but I prefer to think of Mexico as a land of nations, each with its own customs, climates, flora, fauna, politics, history, and language. Chihuahua and Chiapas; Tamaulipas and Tabasco; Querétaro and Quintana Roo–these may as well be separate countries. 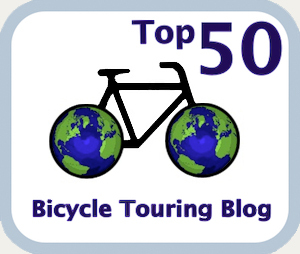 Here’s another way to think of it: Including Mexico in your bike tour of Latin America is like doubling the amount of countries you’ll visit. Other Languages: Mixtec, Nahuatl, Totonac, Maya, Zapotec (with 291 living languages, Mexico is the most linguistically diverse country in the Western Hemisphere). 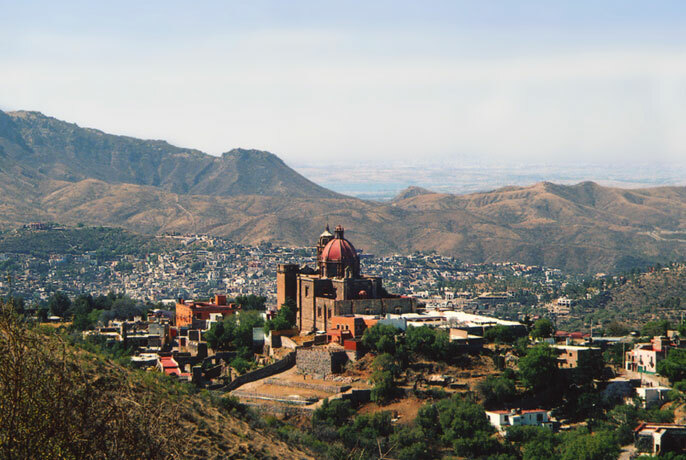 View over Guanajuato on the road to Dolores Hidalgo. 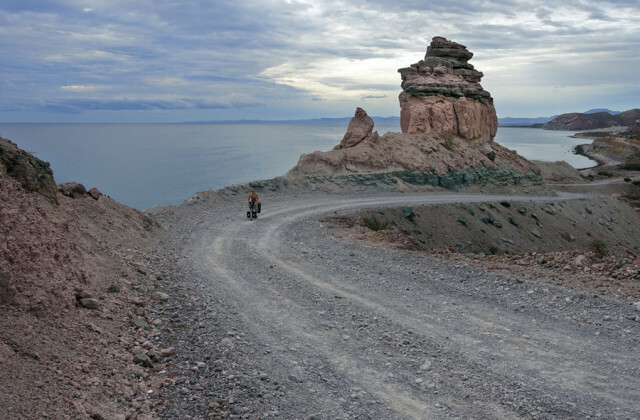 Feature image (top of page): Touring a rough road along the Sea of Cortez in Baja California Sur.